Welcome to Part 12 of our “Gemstones of the Zodiac” series. The twelfth sign of the Zodiac is Pisces (February 19 - March 20). The Mystical Zodiac stone for Pisces is Jade. 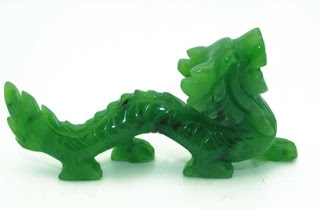 Jade is one of the oldest known stones, and history shows that it was mined as early as 6000 B.C. In China, it was considered “The Imperial Gem”, as it was used for burial suits and grave furnishings for kings and other members of imperial families. Jade cicadas were also placed on the tongue of the deceased, as it was believed this would prevent decomposition and help guard the chi of the deceased. It was carved into many figurines and other objects, and was as revered in China at that time as we revere gold and diamonds here today. 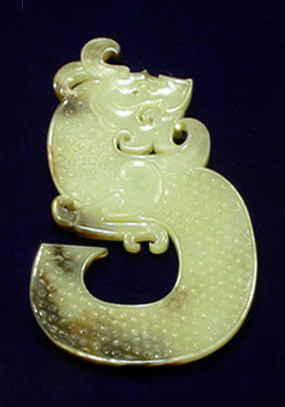 To the ancient Chinese, gold was valuable, but jade was invaluable. A Chinese dictionary from 200 A.D. defines jade as being endowed with five virtues: charity, rectitude, wisdom, courage and equity. 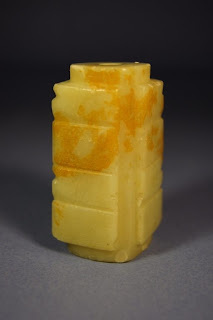 Starting in the late stages of the Tang Dynasty, and going into the Ming and Qing Dynasties in the 16th Century, the stone was only being used for objets d’art, and was no longer used ceremoniously. Taoist alchemists believed it to the the Philosopher’s Stone, and would grind it into powder and use it in elixirs and potions to help guard against illness and evil spirits. Many Chinese believe that a piece of jade, when worn, will turn darker in color if it likes the wearer. 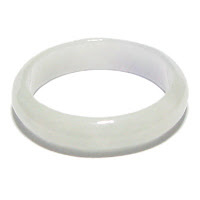 This change in color was said to be the stone leeching the bad chi out of the wearer. It is often given as a present to a newborn, so they can wear it to ward off bad luck. 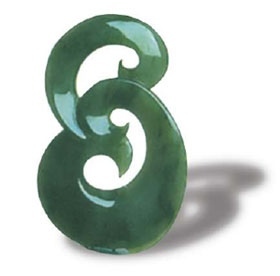 In addition to the Chinese culture, jade was also important to the Maori culture in New Zealand. They consider it a treasure and closely monitor its usage, to avoid exploitation. The Maori used it to make tools, weapons and ornaments. It was often gifted as a way to seal an agreement, much as we would shake hands today. In its most pure, jade is actually white. The colors of jade are dependent on the impurities and other elements present in the jade (such as sodium, magnesium, iron, etc). 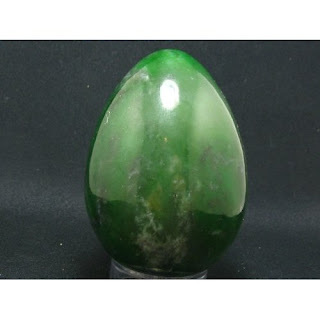 Unlike most of the other stones we have dealt with in this series, there are actually two different stones that use the “jade” name. One is nephrite jade, and the other is jadeite. Nephrite jade is much more common, and is the dark green jade that most of us are used to seeing. 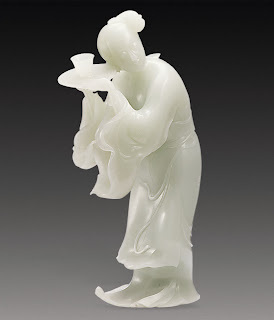 Jadeite is much rarer, and the translucent form of it is what was known as Imperial Jade. 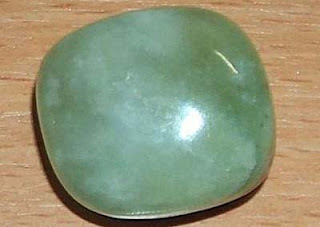 Other colors of jade include gray, blue-green, lavender, yellow, orange, brown, reddish-brown, and even black. 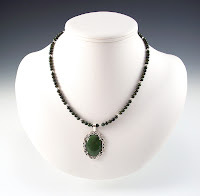 Because there are plenty of stones that look like jade, or can be dyed to look like jade (such as aventurine, serpentine, calcite, and even certain types of garnet), you may not be able to tell just by looking whether it is real jade or not. 1. Hold it up to the light. 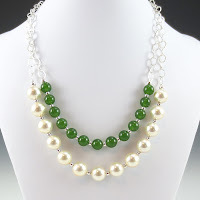 Real jade will have fibrous strands running through it. If you see a clear stone, or even bubbles, it is not real jade. 2. Hold it in your hand. It should start of feeling very cool. Clasp it tightly until it has warmed up to your own body temperature. Once it has reached that temperature, place it back down. After 30 seconds, pick it back up. If it is cool again, it is real jade. Real jade does not retain heat. 3. You can run your fingernail over the edges of the stone. If your nail is catching on scratches or other flaws, it is not real jade. Real jade is smooth. 4. Lightly tap two pieces together. If you hear a chime like tone, they are real. Fakes will sound more plastic, or more like marbles hitting each other. 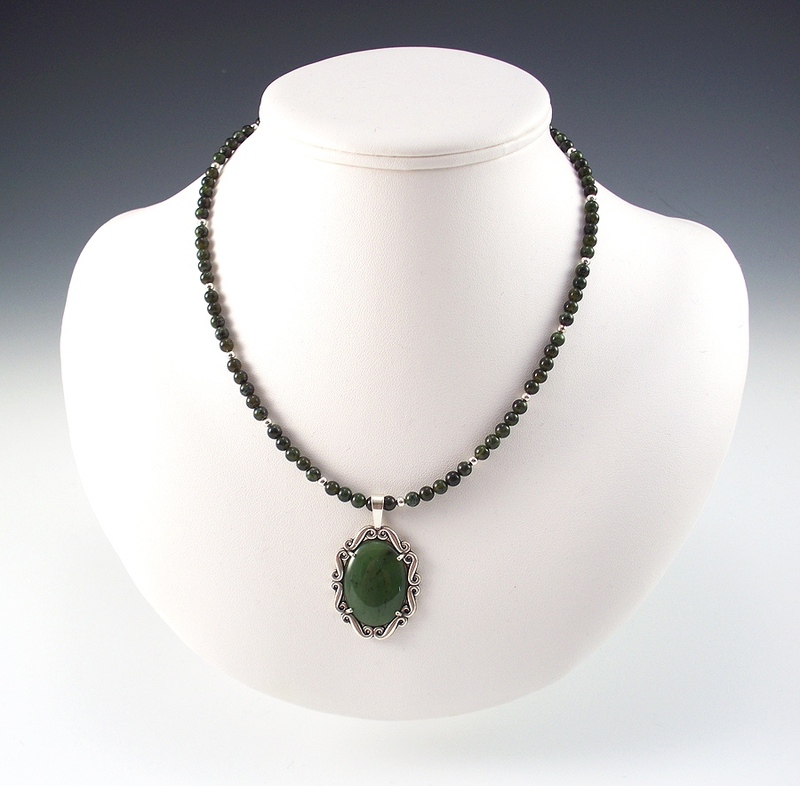 Jade is a symbol of serenity and purity, of a nurturing love, of a tranquil wisdom. It is a protective stone, believed to bring harmony and good luck, and ward off evil. It clears the mind, releases the negative thoughts. It is looked at as a “dream stone”, and can bring insightful dreams. By clearing the negative and allowing more insight, it helps you to become who you really are. To use it as a dream stone, put a piece of it under your pillow, or inside your pillow case before you go to sleep. It is thought that, if you keep a piece of jade in your “change bowl” it will help attract abundance. Jade is believed to help remove toxins (as described earlier, in the belief that it gets darker with wear because it is drawing out the bad chi). It is thought to assist with healing wounds, and kidney, liver, and other organ issues. For good health and good luck, jade is your go-to piece. For information on how to cleanse your stones, see this article published recently here on Mind Body Spirit Odyssey. 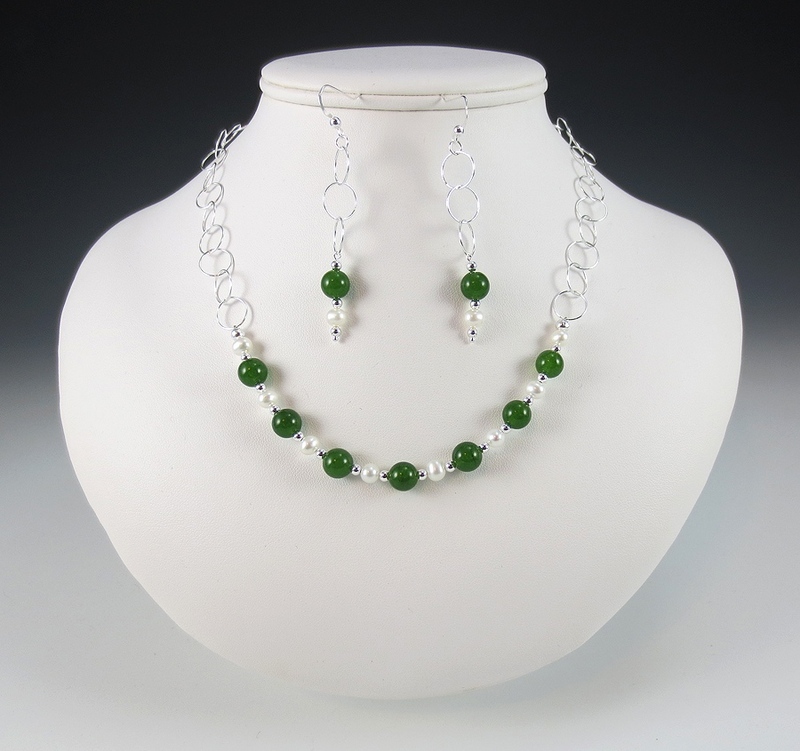 This was the 12th and final installment in the “Gemstones of the Zodiac” series. I cannot believe it has been a year already, and I am very happy to hear that this series has been popular and well-received. I am also happy to announce that because the series has generated so much interest, we will be continuing it, albeit in a slightly different format, in the future. Starting in April, we will be featuring other stones that were not part of this specific series. As we discuss other stones in the future, we will also continue to talk about their histories, their healing properties, and any zodiacal and other mystic connections that they might have. The new series will just be a bit more “free form” and not necessarily tied to the month in question. I look forward to continuing this series in its new format, and I am ever grateful to you all for enjoying it enough to ask that it continue. I am looking forward to the new series very much!